Redneck mocha? What’s a redneck mocha? Take your favorite powdered cocoa mix, add coffee and boom! You have coffee, sugary, chocolate heaven in a cup. Now you gotta have a proper spoon to properly mix that chocolate concoction. These beauties have a bowl shape designed for mixing hot chocolate or powdered drinks. One straight side and leading edge scrape the powder from the side and bottom of the cup, while a slender handle rolls perfectly in your hand while you stir. 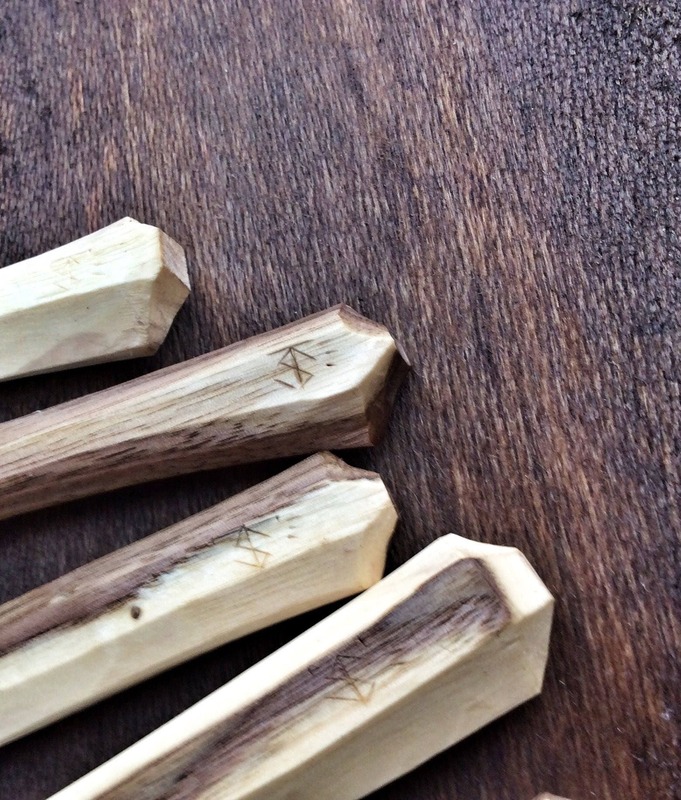 Each spoon is made from branches that were crooked so they are perfectly curved to scoop a mini marshmallow or two. If you drink hot tea the old fashioned way, brewed with a tea bag, theses are for you! Scoop your sugar in, and your teabags out with a nice scoopy spoon. 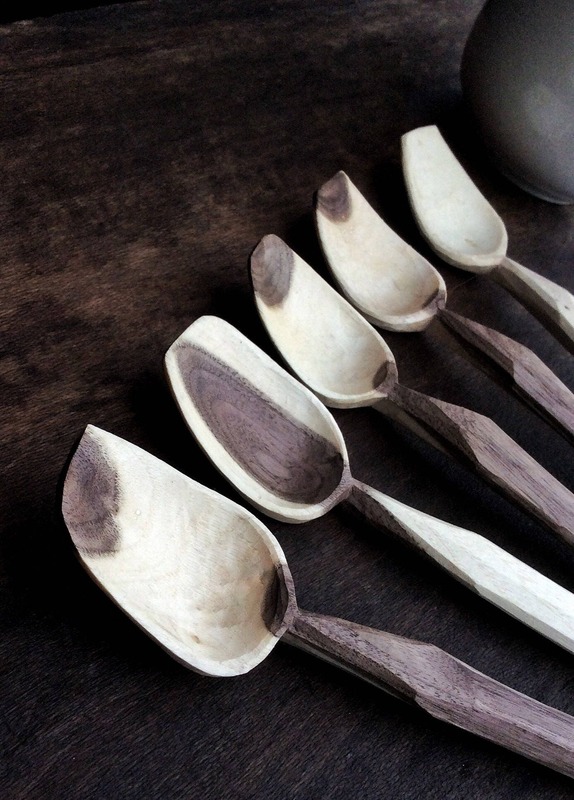 Each spoon is unique, as is each branch they were carved from, so colors, grain, and shape of each spoon is different. When ordering, please indicate which spoon you would like, with number 1 on the left and 4 on the right. 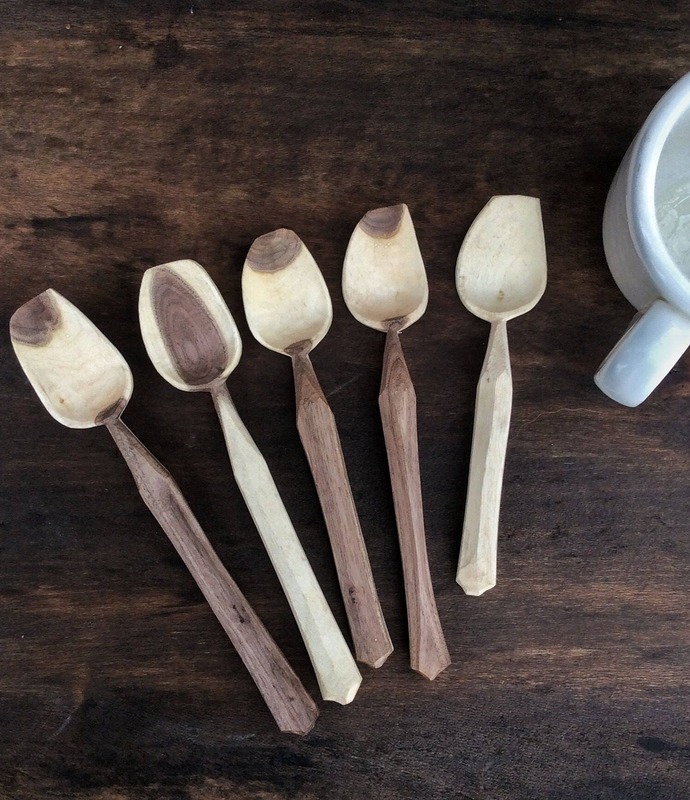 Spoon lengths range from 7” to 5.5” with bowl lengths of approx. 2” and 1.25 widths. 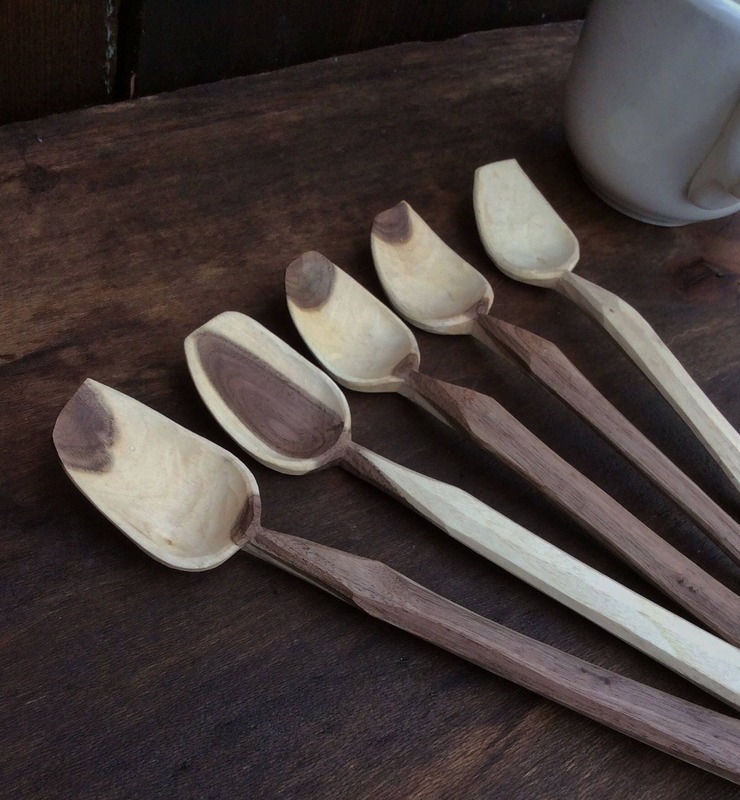 ***Variations in wood color and carving makes each spoon uniquely different. If you see a particular spoon you would like, please just ask. If not, I will send you my pick. Either way you won't be disappointed!